Trip to Dharamshala and Mcleodganj (Part I) - Ghumakkar - Inspiring travel experiences. My visits to places are normally more comfortable journeys, maybe I am getting old and don’t feel like roughing it out any more :-). So, I planned a 3 day trip to Dharamshala, and the first thing I looked for was how to get there. Not a bus, not a train, but a flight. I found only one airline that served this route, and that was Air Deccan. Booking a month in advance, I got 2 return tickets for Rs. 9000, out of which more than Rs. 5000 was the tax component. In this case, if you are going to Dalhousie or Pathankot or Dharamshala and want to go by air, then book in advance since the ticket price shoots up drastically as you reach the desired journey date (in my case, when I enquired around 15 days before the flight about re-scheduling, I was told that the ticket had gone up to Rs. 29000). So, any plans of changing the journey date were abandoned, and I got a bit busy in asking people about the place and places to see, and about the weather, and so on (this mind you, after I had already been there in college on a visit with friends). Once I learned some information (none of which I used to any great degree), it was time to head to Delhi Airport. The flight was late by 30 minutes, par for the course. And then the bus took around 20 of us to … we can’t be going in that small plane !!! .. it was, for the first time in my life, I would be traveling in a turbo-prop plane, and seeing the propellers rotating instead of the pleasure of a normal jet. The feeling wasn’t entirely too pleasant, but the flight was decent. Another thing I never cared to find out was whether this was a direct flight; it wasn’t. It first headed to Pathankot, and after a 15 minute stop, headed off to the Gaggal airport. This was a very small airport, and I think the flight I landed on was the only flight that comes there, and there were a lot of security over there waving big automatic weapons, so I did not try taking a photo of the airport :-). We negotiated with the taxis, but there is apparently a union, and for a journey of around 30 minutes to the Club Mahindra Resort of Kangra Valley, none of them was willing to take less than Rs. 300. Eventually we gave in, and took a taxi. The journey was as we expected, on narrow roads resplendent with lush greenery on either side (due to it being the rainy season), and we finally reached Club Mahindra around 1:30 in the afternoon. After a quick lunch and a short break, we took a taxi from the Resort with a pre-planned package for the First day. The package was to cover the destinations of Dal Lake, some high point, St. John’s Church, the Dalai Lama Temple, Mcleodganj market, Bhagsunath temple and waterfalls, the War memorial, another Devi temple in Dharamshala (in the valley) and that was about it, for a princely sum of Rs. 800. We did not try much negotiating because we were told that these were standard rates. And off we headed. First we went to Dal Lake; not so good. It was all muddy and we decided to head on, climbing up in the hills till we came to a point called Neddi’s point. It was all mist and clouds over there, and the air felt nice. We walked around a bit, and then headed off to Mcleodganj. 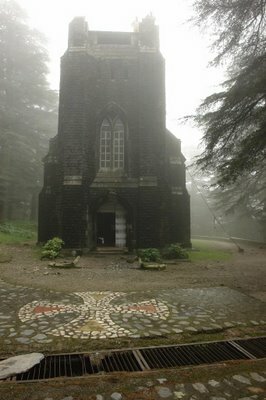 First off we reached this ancient Church called Church of St. John’s in the Wilderness, established in a Gothic style in 1852, and in need of repairs. The settings within its set of trees was incredible, and the whole area around it was oh-so-green. We stayed for some time, put some money in the box for donations for repairs, and then headed on. We reached Bhagsunath temple next, and it was a nice temple, with a plaque bearing the fact that it was the ceremonial temple for the First Gorkha Rifles until they moved out of Dharamshala. Then we had a choice; it was getting around 5 PM and we could either head off to the falls or to the Dalai Temple (closes at 6 PM). I took the command decision of where to go with the approval of my spouse :-), and off we went to the Temple. It was so serene and beautiful, and we could see normally boisterous children also piping down a bit. There were a set of monks meditating, and a dog sleeping right next to them. The conservationist in me was thrilled to see the solar water heating apparatus in the temple. We did not get a chance to see the Dalai Lama since he was not in the location at that point of time. And then we were pretty tired, so had some nice grub and then zzz land. Ashish is a not very well traveled person but remembers a lot of where all he has been to. He wishes all the time that he has more money to travel more places, cruises, Hawai and so on. And will deeply appreciate if he could find some sponsors. Has been blogging since 2006. The pictures with mist and clouds are lovely. I suppose it would not be so crowded during the monsoon season ? Otherwise the hustle bustle during the “season time” make it just like any city– commercial and not peaceful at all. i hope you’re fine now after being hit by rain. were you hurt for long?i’ll carry first aid accordingly. Ashish, your very well written article on Dharamshala and Mcleodganj gave me a sweet nostalgia about these places. I had been to Dharamshala three decades back and recently about an year and half back. Mcleaodganj, being the seat of His Holiness, the Dalai Lama, is simply something very different. I had the good luck of having his “Darshan” during our last visit. His “presence” is something to be seen to be believed. We were also lucky enough to meet one of the Tibetan scholors, who took us around the monestry and explained in details about the Temple and the actities in its precincts. We were also impressed by the Bhagsunath Temple and the Nadi area. The food at a small time restaurant called ‘Hot Buns” on way to the monestry was simply fabulous. This was one place where I saw the Swiss dish, fondou being served. May be we bunp into each other one of these days. Dharamsala and Dalai Lama Information. A guide to few facts and resources to Dharamsala,Mcleodganj. Information about Dalai Lama , His Teachings, Local News Information. I am not taking any package deals , relying on the local taxi. Also I am planning to book HPTDC hotels in advance but their cancellation policy is not clear. Any suggestions on whether its good to book a govt hotel there or private hotels offer a better deal ? Can anyone tell me whether visiting Mc Leod Ganj during July end or Aug beginning is a good time….hope the trip does not get spoil by rains. Hi , i am going Mcleodganj atlest four times in a year, from last four years, l like this place very much. 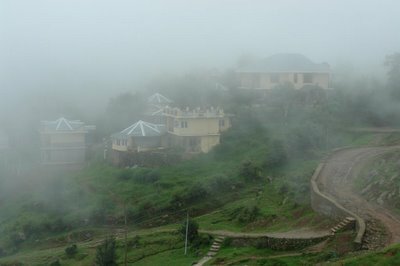 When i compare my Mcleodganj trip with Shimla and Kulu, then i feel Mcleodganj – Bhagsu is best from thats hill stations. I go many time Shimla and Kulu. But i face huge problem during my that trips. Because there is a huge trafic in Shimla, and main problem is Car parking. We cannot enjoy because our vechicles are not secured. The wheather is very good whole the year. Now i recently visit their on 31st July to 3rd August. the temp. running 32 and 26 degree. The main points is Mcleodand ganj trip is Mcleodganj City, Bhagsu nath ( i prefer if you want much enjoy and cheep hotels then you stay in Bhagsu), Dal Lekh ( this time Dal Lekh is empty due to repair of lake) but site is very beautyful even there is no water in lake. After that Nadi (Nadi is 2 K.M. from Dal Lake) this is very very beautyful point in this trip. Nadi view is very very nice. You can enjoy here openly Coctail party openly. Una � Amb stretch is bad, the road is not surfaced for most of the stretch. I feel it will take a couple of months for the condition to improve (don�t hold me to the timeline, I just hope it is done soon). I was advised by a petrol pump attendant that Road via Gagret is much better. I did not get a chance to verify this as we travelled back to Delhi with a stopover at Amritsar. We took the McLeodganj � Shahpur � Nurpur � Pathankot � Amritsar. This route is mostly good, McLeodganj � Shahpur stretch is not so great but bearable. Can you give me little more details on flight route from delhi to mcleodganj? There used to be a flight (a propeller small capacity plane) that flew between Delhi and Kangra (with a stopover in Pathankot). Now, there seems a flight on Kingfisher Red between Delhi and Dharamshala. 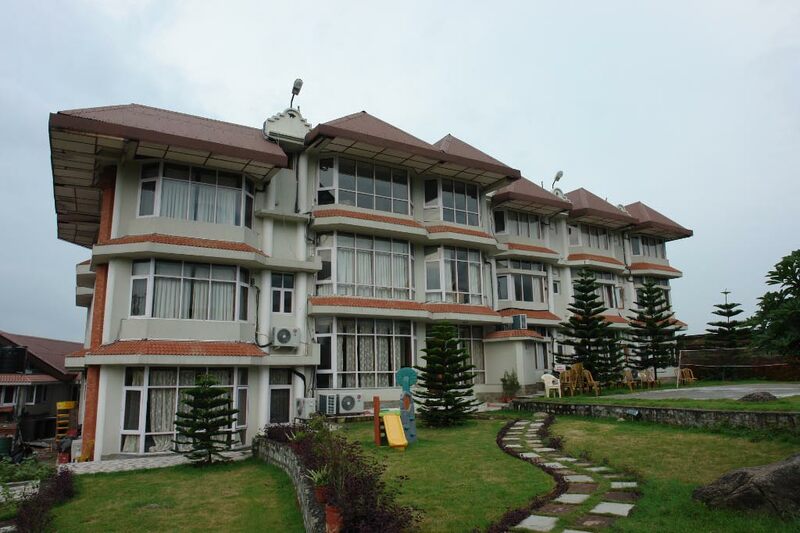 will dharamshala be a good place for honeymoon during july. as i have heard about heavy rains road blocks and land slides during july and august. I’ve been to Dharamshala 3 times (as its my friend’s native place). IMHO, going by flight is very expensive and also the airport(Gaggal) is 30 kms away for Dharamshala (choose flight only if you don’t have time, else its a waste). As there are direct overnight bus services from Kashmere Gate ISBT which drop you right in the middle of city (aptly called as Bus Stand). Did you managed to visit Norbulingka Monastery, Bhagsu Naag waterfall, Government College, Kunal Pathri temple, Indru Naag temple? Lord Krishna Adventures bike Rental dealer who keep a fleet of maintained bikes for rental, and depending on the season, amount of time and the availability, will rent you something for about rs 700 to rs 1000 per day. Usually the license you have from your own country will be adequate for this purpose, along with a copy of your passport,and any other Id like Addhaar , VoterCard, etc but check those details before leaving home� as an license can be obtained for minimal effort from your country. Also contact for standard, deluxe and luxury rooms in #Mcleodganj,, we do run a budget hotel in beautiful mcleodganj and also contact for volvo and deluxe bus services from delhi-dharamsala-delhi at affortable (cheaper than others) price.and also contact for all other your travel needs. 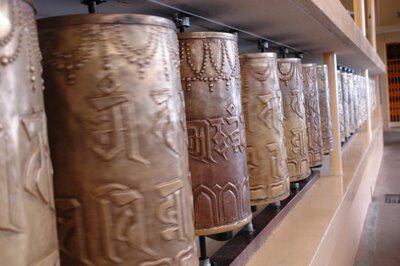 For shoppng in mcleodganj visit our shop Divine Buddhha Handicrafts buddha handicrafts.we sell indian and tibetan handicraft items at very reasonable prices. please feel free to contact between 08am to 9 pm � at Mcleodganj (Dharamsala). The rates and the service they offered was fabulous and the vendors they have was amazing. No security deposit. No hassles. We had a gala time after we had the bike to ourselves. No stopping. I have travelled Dharamshala 2 times and according me there is no match of its beauty in this world. You can do adventurous things, religious things and many more things in this trip. Best place to enjoy holiday. In continuation of Frankfurt Part – 1. In spite of intolerable cold breeze we tried to explore the Frankfurt as much as possible. St….